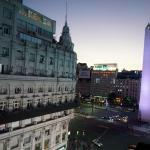 4th Argentine Congress of Neonatology is organized by Argentine Society of Pediatrics / Sociedad Argentina de Pediatria (SAP) and will be held from May 22 - 24, 2019 at Exe Hotel Colon, Buenos Aires, Argentina. The target audience for this medical event is nurses, neonatologists, pediatricians and obstetricians, child care workers, kinesiologists, psychologists, bioethicists, maternal and child health officials. The vision that moves the contents of the Program is that which places the child and his family in the center of care, with special emphasis on the equity of perinatal care, the quality of care and the hierarchy of bioethical aspects. With this framework, we will not only deal with typical problems of the newborn in the NICU and their management based on evidence, but we also invite you to reflect on the communication between us, the care of health professionals, the effectiveness of certain interventions prenatal care, the challenges in the delivery room, the relevance of the continuity of care after discharge and the true importance of teamwork. • Bioethical problems in Neonatology and Perinatology. • Improvement in the quality of neonatal care. • Equity and health policies in perinatology. • Regional heterogeneity in perinatal health. • Regionalization and Perinatal Transport. • Monitoring of high risk newborns. • Keys in neonatal nursing care. • Advances in the care of high-risk pregnancies. • The first minutes after birth. • Respiratory disorders and their management. • Optimization of the nutrition of newborns. • Evaluation and adequate treatment of cardiovascular problems. • Peri operative management of the newborn with surgical pathology. • Effective and integral communication. • Simulation, a necessary tool for current learning. • Define strategies to improve the quality of care and results in the short and long term. • Reflect on our practices in all areas of modern neonatology.